We caught up with Deborah to find out a bit more about her work. I continue to train every year at an invitation only training seminar, with Brazilian aesthetic industry leader and plastic surgeon Mauricio de Maio. I have trained in California with cosmetic dermatologist to the stars, the late Dr Fred Brandt and Dr Tim Flyn. On top of that, I spent time in the famous Harley Street in London, known across the world for its leading plastic surgeons and dermatologists. Most recently, I trained with Dr Arthur Swift who has pioneered his revolutionary BeautiPHIcation concept, a ground-breaking methodology of non-surgical facial enhancement. Professional development is key in this industry and that’s why I continue to train every year. It’s so important to keep up to date on techniques and trends so that you can offer clients the best option for their needs. I was the training manager for a leading Dermal Filler company in the UK for many years, where I was responsible for the training of hundreds of practitioners in the correct technique to administer fillers. Thanks to my credible reputation for high-quality work, I have made multiple T.V appearances, appearing on GMTV, Lorraine, Good Morning and Making of a Super-babe, as a respected aesthetic professional voice. You can trust that Deborah has worked with the best and your skin is in safe hands with her. Working in partnership with Jackie Donnelly, Deborah offers honest and confidential advice bespoke to the client in every consultation, ensuring the right treatment is prescribed for their needs, from Botox to dermal fillers. 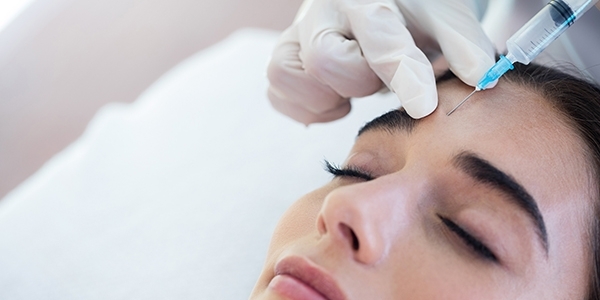 If you are looking for a cosmetic treatment you can rest assured that at The Clinic, you are getting the knowledge and experience of a professional aesthetic practitioner.